What’s the point in a footswitch that only lights up when it wants to? Perhaps you want your amp footswitch to light its LED when you’re on your clean channel, and not on your overdrive. Perhaps not. Perhaps both, depending on how you’re feeling that particular day, or even particular song. We’re not here to judge, we’re just here to get you rocking with gear as stylish and awesome as your skills. Flick the polarity switch of a Skinny Little Switch Plus to choose when its LED lights up, it’s as easy as that. You’ll need a centre negative 9v power supply for this little light to shine (almost every pedal manufactured today has this power type. You’ve probably got one lying around somewhere), but the footswitch itself is passive: it doesn’t need power to switch your amp channel or effects mode, just to light up its LED. So don’t worry if you can’t spare a socket on your power supply – the Skinny Little Switch Plus will keep working for you! If you need any help with the features or technical jargon around the Skinny Little Switch Plus, or you need to know whether your pedal will work with one, Contact Us to ask. Don’t be shy! 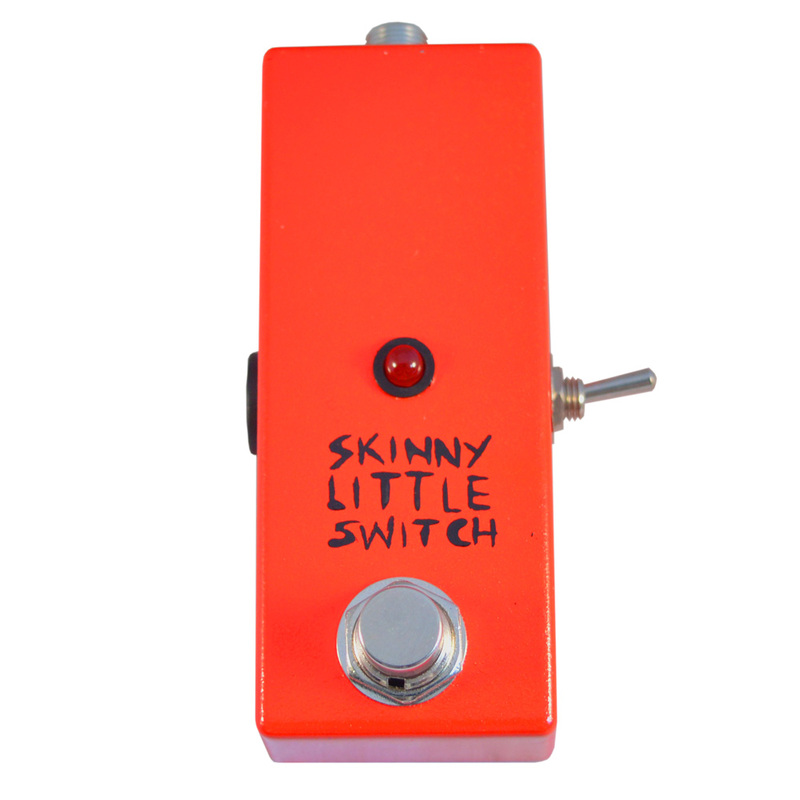 Buy a Skinny Little Switch Plus Amp Footswitch now! Make your pedalboard that much handsomer. It makes more sense than a pint after work! 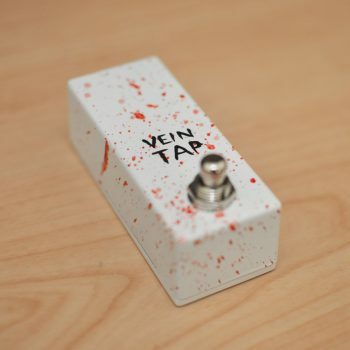 This is the second little switch I’ve bought from Vein-Tap, and it’s another little cracker which does exactly what it says on the tin. I use it to flip channels on my amp, but I guess you could use it for a load of different things. Nice bright LED, useful polarity switch and tiny footprint but big enough for my over-sized plates of meat! There was a delay in delivery but Ben got on the case very quickly, and it seems that good old Royal Mail were to blame. Anyway, it arrived in time to save me fumbling around with amp controls at the next gig ! 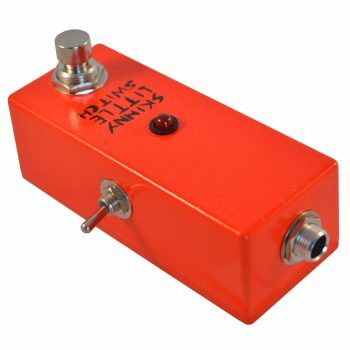 Already have the Skinny Little Twins and Dark Triad so it was a no-brainer when I needed a new channel switch for my Orange amp…..so durable, reliable and a lovely small footprint. As usual an absolute delight to deal with and super fast delivery!!!! I already use the ‘Separator’ as a channel switcher for my Supro Dualtone so when I wanted a high quality on/off switch in a small box for the tremolo, the ‘Skinny little switch plus’ was a no brainer!!! Simplistic, durable and small. 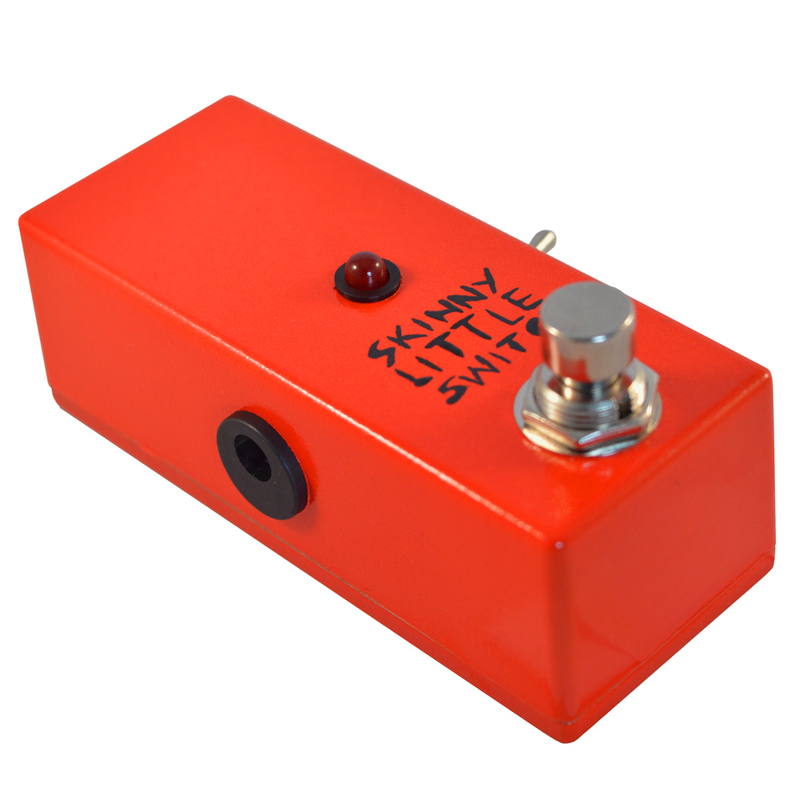 The perfect combination of attributes which the Skinny Little Switch Plus demonstrates. It’s a truly awesome pedal! 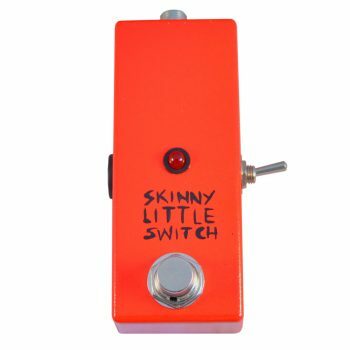 I bought the Skinny Little Switch Plus, to switch the reverb on/off on my orange amp. It’s so good, I’m thinking of getting another to switch between clean/overdrive, as the standard orange pedal is quite bulky. Love that you can switch the polarity, so that yo can choose to have the LED on or off when switch is engaged. 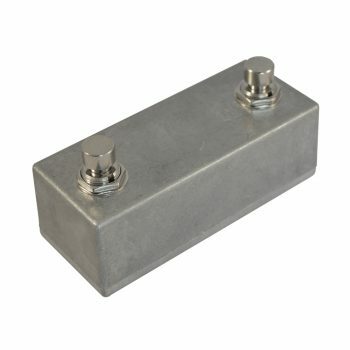 Pedal was recieved within a few days of order. Well built, good price and looks cool on my board. Sweeet! Nice bright light, polarity switch lets you set it how you want. Paint job on mine isn’t flawless, but hey – it’s cheap, it’s sturdy and it works! Obviously has a variety of uses but I use mine to control the “Fat” button on a blues junior which gives a nice kick to lead parts.